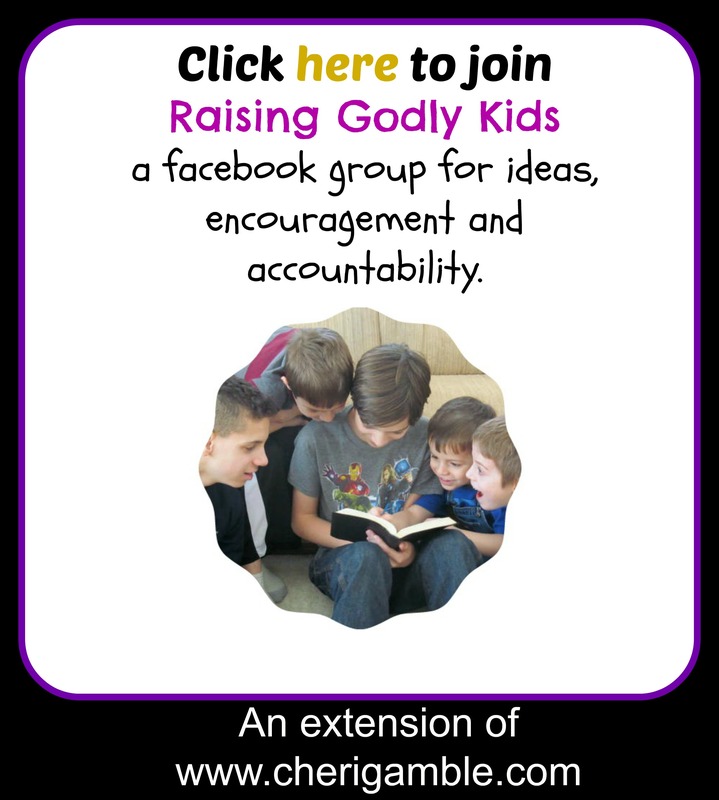 This lesson is taken from a 35-week Bible curriculum called The Book of James: A Hands-on Homeschool Curriculum. Find out more about that curriculum by clicking on the picture to the left. I hope you enjoy this lesson! May God bless you as you strive to raise godly children for Him! 1. What law does James say we should keep? 3. When we show favoritism, what are we doing? 4. What happens if we keep the whole law, but stumble at just one point? What do you think this means? Do you think it is possible to keep the whole law? Explain. 1. These verses talk about obeying the law. Learn them by making your own replica of the ten commandments – with food! Spread frosting on graham crackers or try making a cake and frosting it. Use toothpicks to write the verses out in the frosting. Keep reading over the verses, spreading the frosting over different words as you go until the frosting is all spread and the verses are memorized. Then eat the cake! 2. Tie your shoelaces together and try to race to the end of the room while quoting the verses. You are trying not to stumble . . .
Have your child write the verses in his journal as copywork. 1. Draw a picture of the ten commandments and then illustrate this verse around it. 2. If you did not make a ten commandment cake earlier, do it now. You can also make ten commandment cookies or ten commandment toast. Be creative and use whatever food you have on hand to make your own version of the ten commandments! Spend time praying with your child. Review James 2:8-10. Say: People are always making laws. Some laws make sense and are really rather important. Other laws, however, make you wonder what people were thinking when they wrote them. Let’s take a look at some of those laws. The following laws are listed at www.BusinessInsider.com and were true as of this publication. Read them to your child. You can read them for fun, or you can read them and have your child guess if they are actual laws or not (be sure you don’t tell him that they are all true laws before you start.) If you want more laws, visit: http://www.businessinsider.com/most-ridiculous-law-in-every-state-2014-2. 1. Alabama residents commit unlawful bear exploitation if they purchase, possess, or train a bear for the purpose of bear wrestling. 2. In Arizona, no one can feed garbage to a pig without a permit. 3. In Georgia, Those engaging in llama-related activities such as riding, training, or goofing around at a county fair or performance, are accountable for any and all personal injuries incurred. 4. In Iowa, anyone who tries to pass off margarine as real butter is guilty of a misdemeanor. 5. In Massachusetts, it is illegal to sing only part of the national anthem. 6. In Minnesota, any game that requires people to catch a greased or oiled pig is illegal. This also applies to turkeys. 7. In New Hampshire, it is illegal to gather or carry away seaweed at night. Ask: Can you think of any laws that would be really strange if we had them? Help your child come up with a list of crazy laws. They don’t have to be true laws, just laws that would be really funny. Have fun with this! When you are finished, say: God set some laws in place for His people, but these laws weren’t silly and crazy laws. These laws are actually very important, practical laws that help us live a godly life. Let’s take a look at them now. Read Exodus 20:1-17. Discuss each commandment as you read it to make sure your child understands the meaning of the commandment. After you have finished reading the passage, say: All these laws can be summarized into two principles: Love God and Love Others! Get a large piece of paper and write “Love God” on one side of it and “Love Others” on the other. Draw a line through the middle to separate the two. Then go through the commandments again and have your child put the commandments in the right column (for example: which commandments are more about loving God, and which are more about loving others.) Be sure that your child can tell you his reasoning behind where he places each of the commandments. Say: In James 2:8, James summarizes the law by saying, “Love your neighbor as yourself.” Why do you think he summarizes it that way? If you love your neighbor as yourself, will you break any of these commandments? Discuss. How is showing favoritism or partiality NOT loving your neighbor as yourself? Discuss. Say: Our lives need to be all about loving others, and if we avoid certain groups of people or look down on certain people, we are not loving them, are we? That makes us a law breaker – guilty of breaking the entire law! That’s pretty tough stuff, isn’t it? We are going to look more at this issue later. Review James 2:8-10. Say: Yesterday we talked about the Old Testament law, and how the law is summarized by two commands. What were those two commands? (love God and love others). Today we are going to look at what Jesus said about loving others. 1. What did the lawyer ask Jesus? Why? NOTE: The Bible tells us that he was wanting to put Jesus to the test. I’m not sure if the lawyer was really interested in the answer to the question. 2. What did the lawyer quote to Jesus when Jesus asked him what was in the law? 3. Why did the lawyer ask Jesus who his neighbor was? How do you think he expected Jesus to answer? How DID Jesus answer? 4. Did anyone in the story Jesus told show favoritism or partiality? How? 5. How do these verses relate to James 2:8-10? Jesus told a very powerful story when He told the parable of the Good Samaritan. The people who “served God” were the ones who were unwilling to get their hands dirty and help the poor man on the side of the road. It was the foreigner, the one all the Jews despised, who reached out and showed love. He was the one who fulfilled the royal law found in Scripture . . . NOT the other two. The message is clear, we need to love ALL people. Give your child a copy of the comic page from the end of this lesson. Have him fill in the speech bubbles with what each character from the Good Samaritan may have been saying to himself to justify his actions in ignoring the man on the side of the road. Discuss how we often try to justify our actions when we know they are wrong. We make excuses for why we won’t talk to a certain person or why we won’t be nice to someone. Ask: What are some of the excuses that we make? On the back of the page, have your child draw out a modern day Good Samaritan parable – perhaps one from his own life. Spend time today praying for the ability to love all people. Say: Today we are going to play a game that relates to the law. The object of this game is to obey all the laws and to get to the end – heaven! Each person rolls the dice (make sure this is a dice that only goes up to 6). Each person moves his token ahead however many spaces he rolls. He must then do whatever it says on the board. As mentioned above, it will be impossible for anyone to get to the end. When your child figures this out, say: What? It’s impossible to win? You know what? It is impossible to obey the law perfectly. We all stumble and make mistakes and, as James says, if we stumble at just one point, we are guilty of breaking the whole law. We are lawbreakers. What can we do? How can we possibly be successful and get to the end? (Allow discussion). Let’s play this game again, but this time I have something special for you. Give each player a “Grace Card”. Explain that we can’t obey the law, but we don’t have to in order to be saved. Jesus came and died for us so that we could be free from the laws. He took the place for us and the punishment that we deserved. His grace covers over all of our sins! Now we obey, but we obey because we love Jesus, not because we have to obey the law to be saved. This time when you play, each player can use his grace card any time he lands on a space where he has to go back. The grace card will make the punishment go away. Play until everyone finishes. 1. What held us prisoner before Jesus came? 2. Who has rescued us from the law? Who has made it possible for us to be saved? 3. How does Galatians 3:28 relate to James 2:8-10? NOTE: We are all one in Christ. Showing favoritism or partiality makes absolutely no sense for a Christian! Jesus died for ALL people, and we need to love ALL people, too! Spend time in prayer with your child. Review James 1-James 2:10. Celebrate when you finish! 1. Pretend you are creating a new country. What laws would you include and why? 2. Write about the gift of grace. 3. Explain the ten commandments to someone who has never heard of them before. 4. Write about the parable of the Good Samaritan from the point of view of the inn keeper. 5. Write about the parable of the Good Samaritan from the point of view of the injured man. 6. What does it mean to love your neighbor? How are you doing at loving your neighbor? 1. Make your own puppet show/picture book for the parable of the Good Samaritan. 2. Make a poster showing ways that you can love your neighbor. 3. Make a model of the ten commandments. 4. Make your own board game using this week’s lessons as a theme. 1. God gave the people ten commandments. Count by 10’s. Practice multiplying and dividing by 10. Have fun with the number 10. 2. James talks about keeping the whole law or stumbling at one point. Practice with fractions today. 2. Study the difference between the words good and well. 3. Study pronouns – especially “you” and “yourself”. 4. Write a poem about grace. 5. Write a story about someone who is always trying to follow the laws perfectly. 1. Make a map detailing the route from Jerusalem to Jericho. 2. Study the creation of a law in your country. How does a law come into effect? What are the punishments for breaking a law? What are some of the strangest laws? 3. In the New Testament, Jews hated Samaritans. Study instances of different groups that have hatred towards each other today. 2. Study the human heart. Study the forces that help you maintain your balance (equilibrium). What causes people to stumble? 1. Make a painting that represents grace. 2. Try your hand at carving a project out of rock or brick. 3. Make “heart art”. There are several ways to do this, but one way that might be fun is to cut a piece of celery in half and dip the celery in paint, then use it as a stamp. The end of the celery should make a heart shape on your paper. 1. “The Ten Commandment Boogie” by Go Fish. 1. Be the Good Samaritan this week. Look for ways to go out of your way to help someone else – especially someone else you might not normally think of helping. 2. Extend grace to all you meet this week. 3. Do something special for your neighbors this week. Make them a special treat, rake their leaves, or shovel their sidewalk. Practice loving your neighbor as yourself! Wow, Cheri! You make me want to be a homeschooler! (I’m actually considering it for my youngest.) I love the ten commandment toast and graham cracker ideas and the way you took the Good Samaritan story from several perspectives. This is so impressive. I need to bookmark your site! Even if we don’t homeschool, we could do this over the summer. Blessings! Pinning this! How great!! I pinned this for when my little one gets a little older! Thanks so much for posting this! Your curriculum looks great 🙂 I’m still on the fence for what we’ll start studying over the summer so this may be the way to go. Thanks!